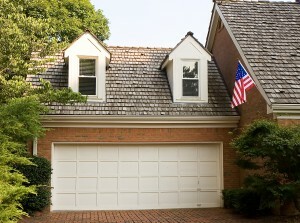 You know that installing a new garage door can make your Mason, TN, home more attractive and increase its curb appeal, but there are so many other ways that a new garage system can benefit you and your family, and the home improvement experts at 31-W Insulation can help you make the most of your garage door purchase. To begin with, we offer garage doors made by some of the finest and most respected manufacturers in the industry, including Amarr®, Windsor Door, and Wayne Dalton®, which means that your garage door purchase is backed by impressive warranties, so you can be confident that your investment is protected. Pinch-resistant designs that are featured on many of the garage doors that we offer eliminate injuries that are caused when fingers get caught in door panel joints. Energy-efficient doors that are also available with thermal seals and insulation to help you conserve energy and promote more comfortable garage temperatures. Smooth, quiet operation so you won’t be bothered by noise from squeaks when the garage door lifts and lowers. Additionally, the experts at 31-W can help you choose a garage door that will reflect your personal tastes and complement your home’s architectural style, all while staying within your budgetary guidelines. Whether you want a contemporary design or a traditional design, an aluminum door or a wood door, we can help you choose the perfect door for your home. Call the professionals at 31-W Insulation today so you can begin enjoying the numerous benefits that come with a new garage door investment. We are proud to serve homeowners in Mason, Tennessee, and surrounding areas.